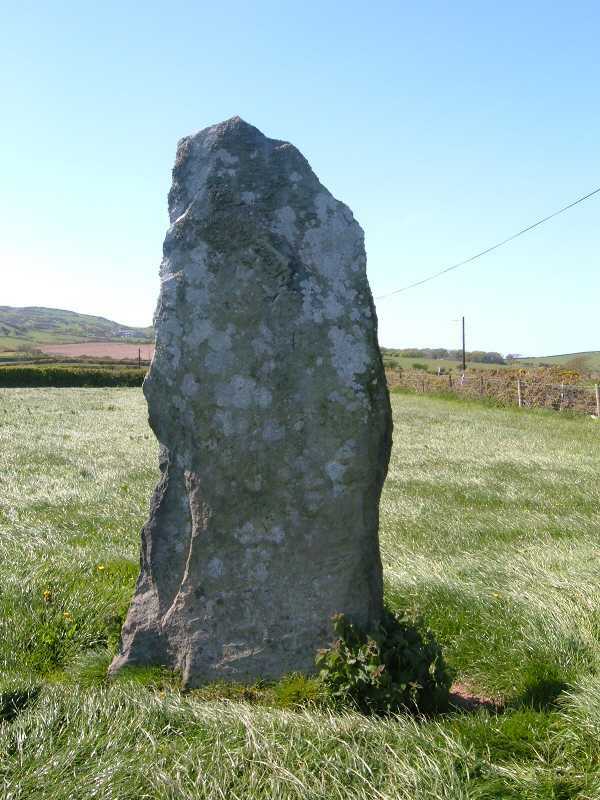 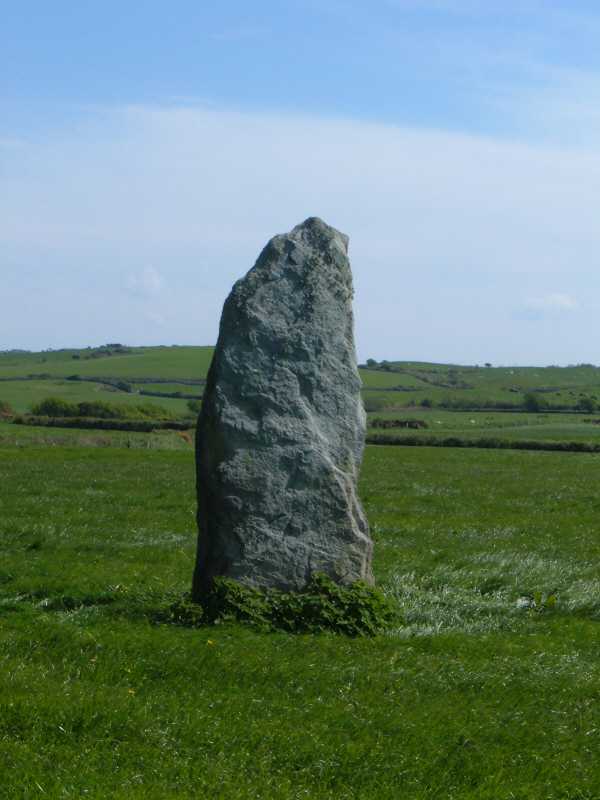 Pen yr Orsedd Standing Stone (2) on Anglesey - an ancient monument on the island of Anglesey. 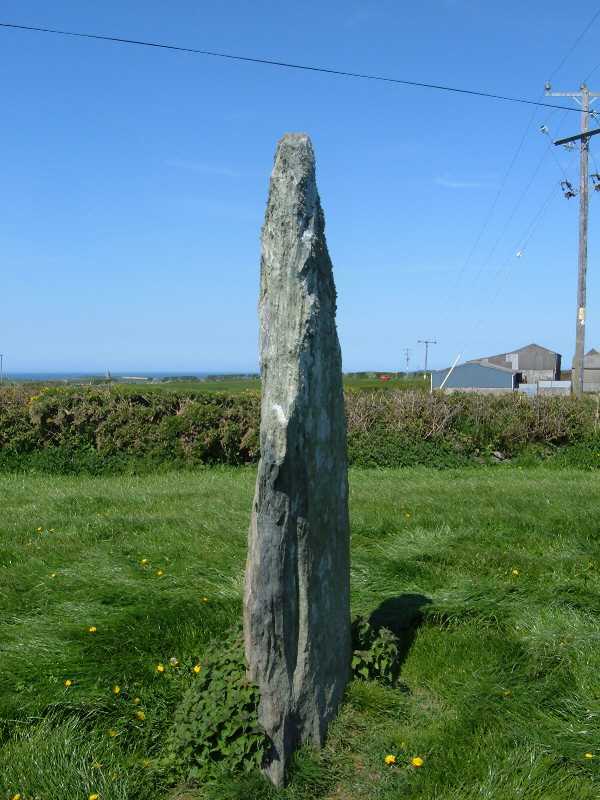 Pen-yr-Orsedd Standing Stone 2 SH 333904. 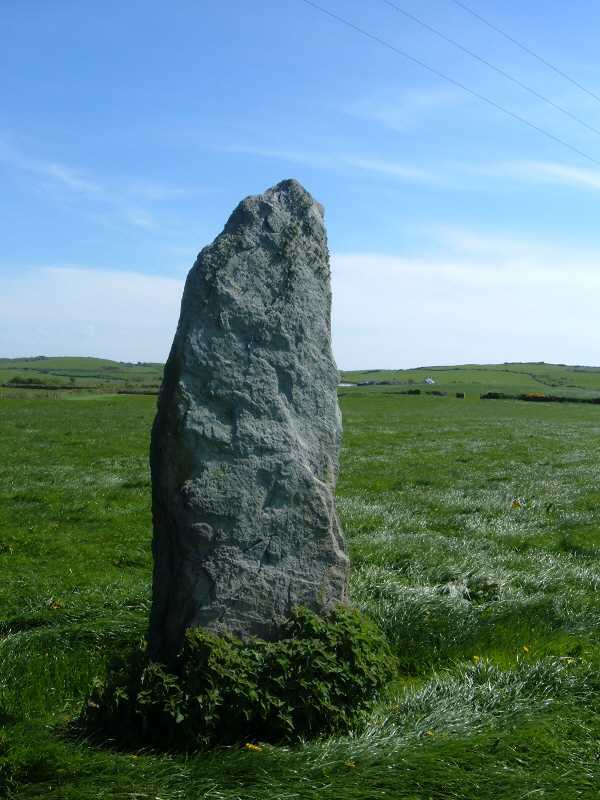 Located on the Pen-yr-Orsedd rural farm, just a couple of hundred yards from the main Pen-yr-Orsedd Stone. 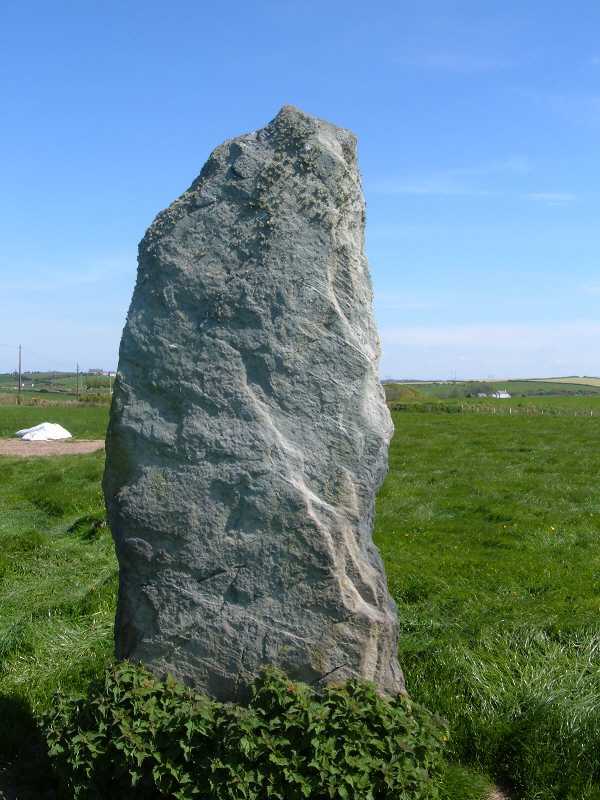 Not quite as impressive as the main stone, but still over 6 feet tall. 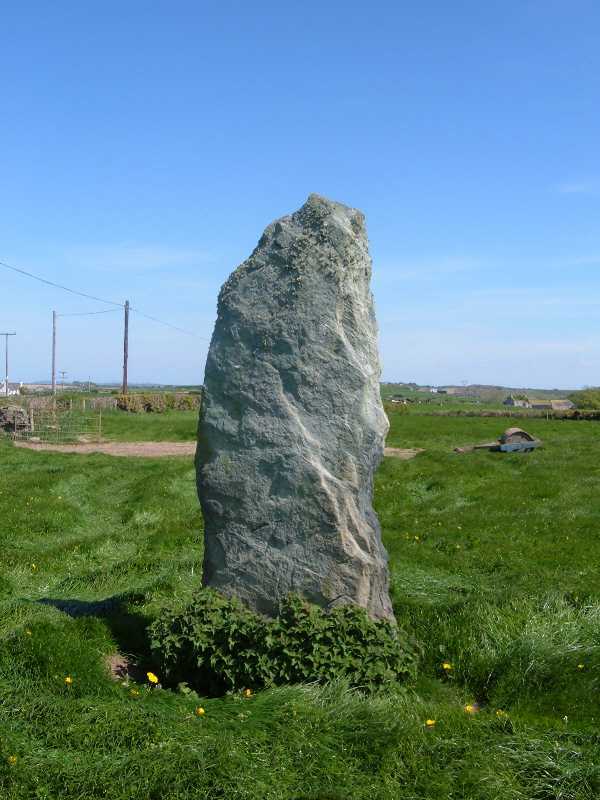 Very accessible just through a farm gate and right in front of you. 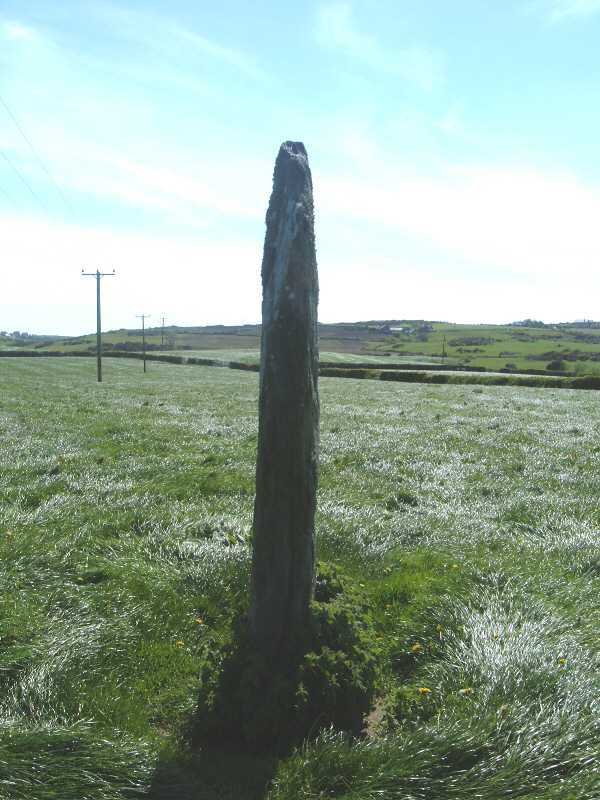 It always amazes me how many of these have survived thousands of years of farming. 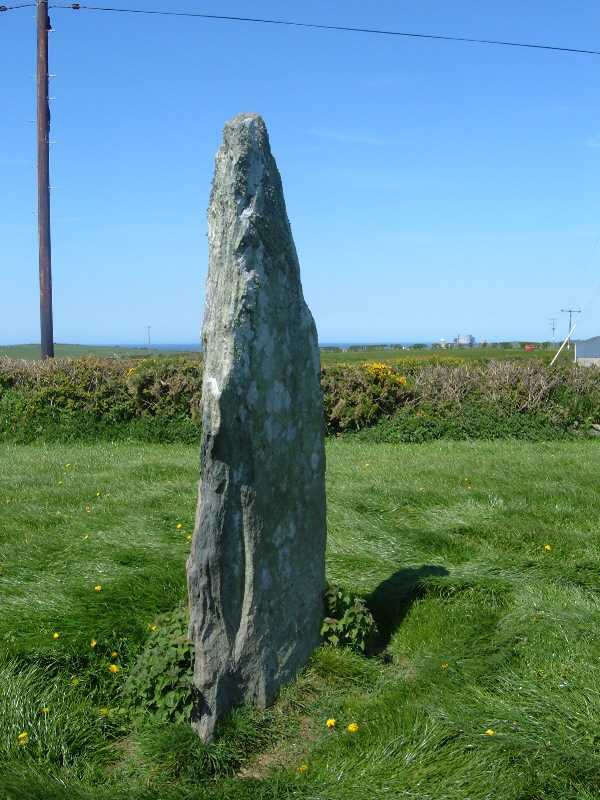 I would guess that Anglesey would have had many hundreds more megaliths originally.